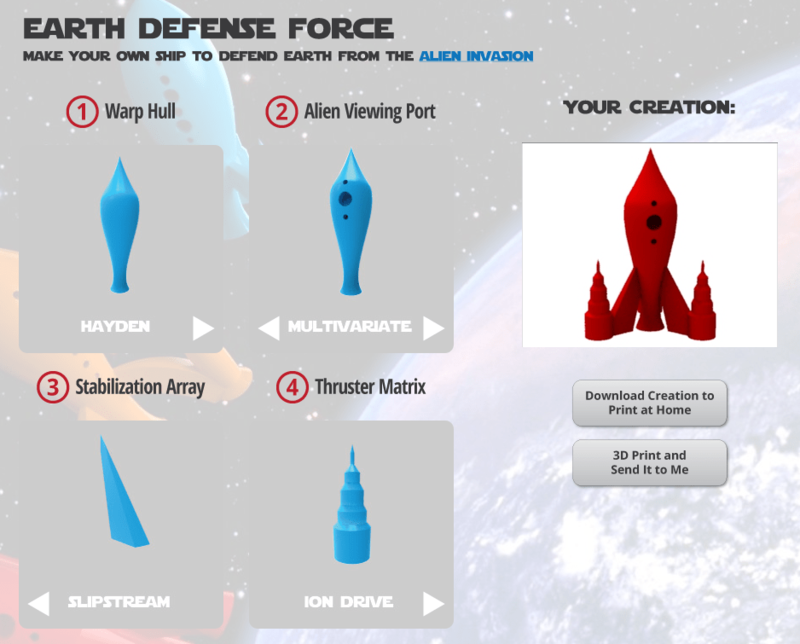 3D printing used to be like rocket science, but not any more. As we build out the various features of Cubify and the Cube 3D Printer we have been using our kids as focus groups to validate whether the stuff we are doing is really for consumers. Yesterday my son Reuben (now 9 years old) asked me if I could design a rocket ship for him. I told him that he could design one himself and pointed my browser to the Cubify Defenders web app that the awesome Cubify team had cooked up. In a matter of seconds he had his rocket ship ready. I downloaded the STL file (the app is free) and sent it to the Cube. My younger son Russell (now 5 years old) wanted to know what the fuss was all about. 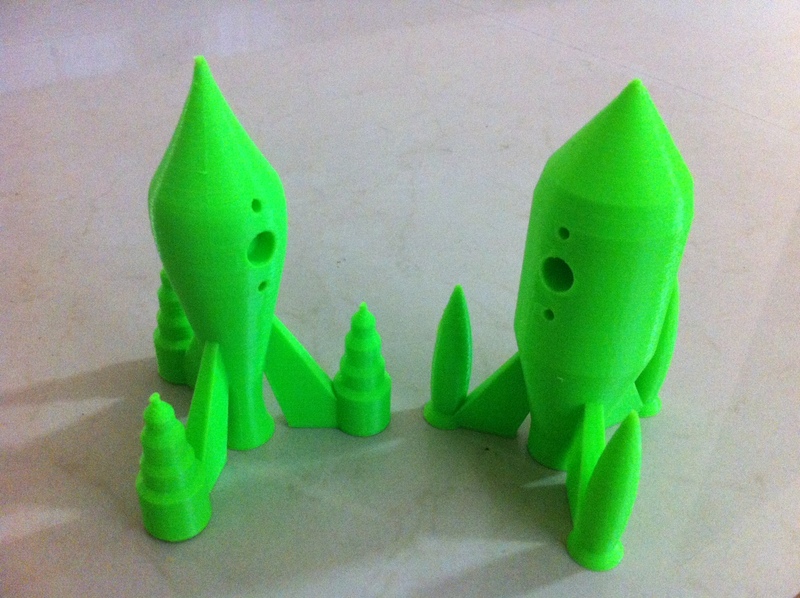 When he saw the Cube printing Reuben’s rocket he wanted one as well and asked me to print another. I asked him why he wanted the same rocket as Reuben when he could design his own. His eyes lit up and exclaimed “Yeah!! Just like how I designed the ring for you” (read “3D Printing For Eight To Eighty Year Olds“). 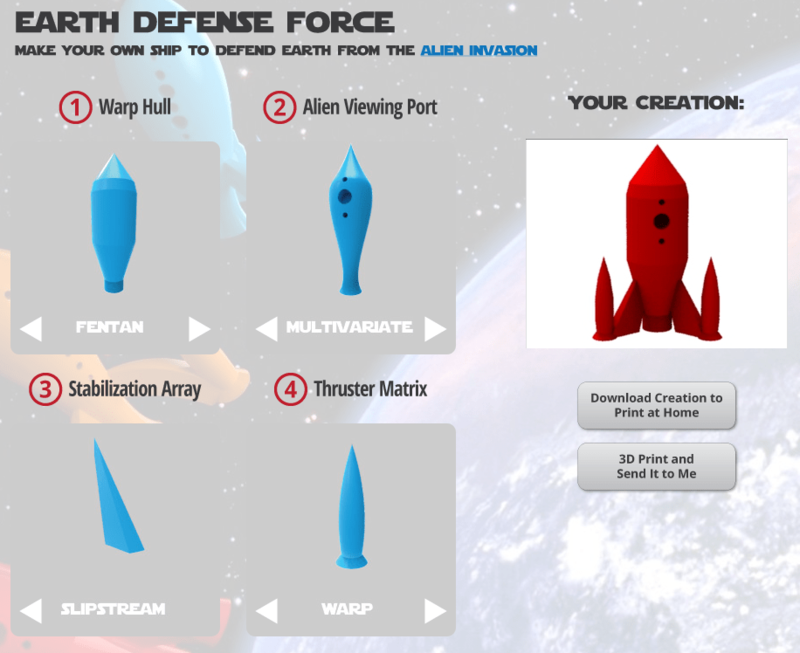 I sat him on my lap and let him click away in the Cubify Defenders app. He came up with this. This morning the boys woke up to this. We have been printing toys for a quite some time now and I’ve been noticing how my boys have been playing with them. The Cube printed toys seem to last a lot longer than the plastic toys we buy from the toy shops. I thought that was due to the internal ribs that the Cube builds to offer strength and support as the rest of the toy is printed. But there is another reason that these Cube printed toys survive longer. Its due to the way the boys treat them. These are things they designed themselves or hand picked and personalized. To them their value far exceeds that of the other toys to a point that they have a separate box. Russell still sleeps with his Yoshi dinosaur in his palm (see “Size Does Matter“).